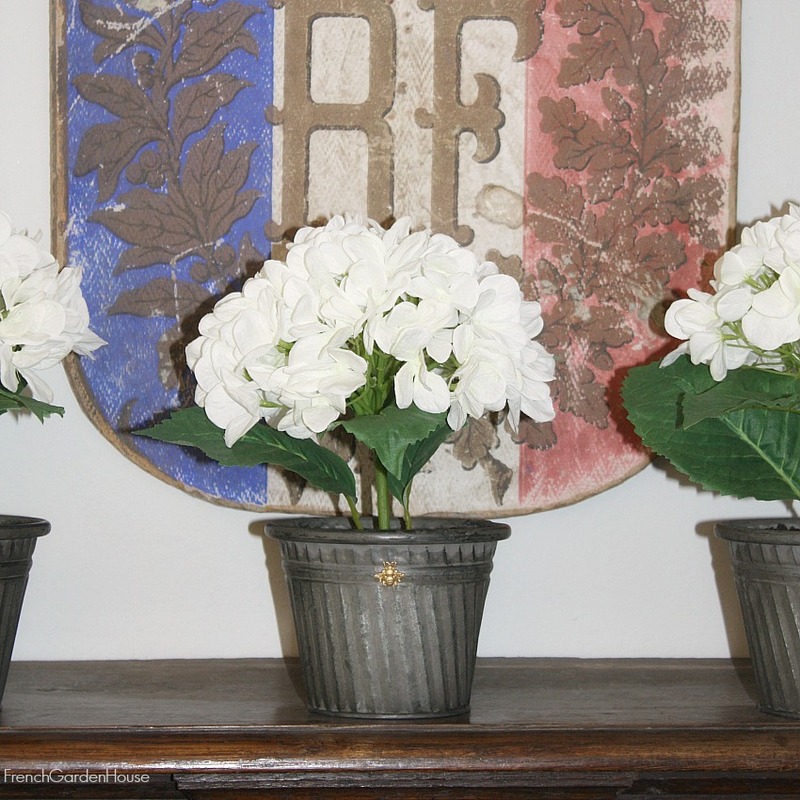 French hydrangeas, or hortensia français in white are a reminder of beautiful summer days in France, where they bloom around village homes in profusion. This large bloom will last long after your garden has faded. 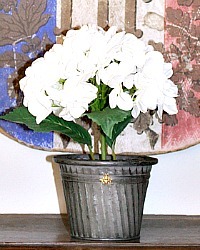 Stunning single hydrangea planted in a grey metal decorative pot with realistic soil, and our signature golden French bee. 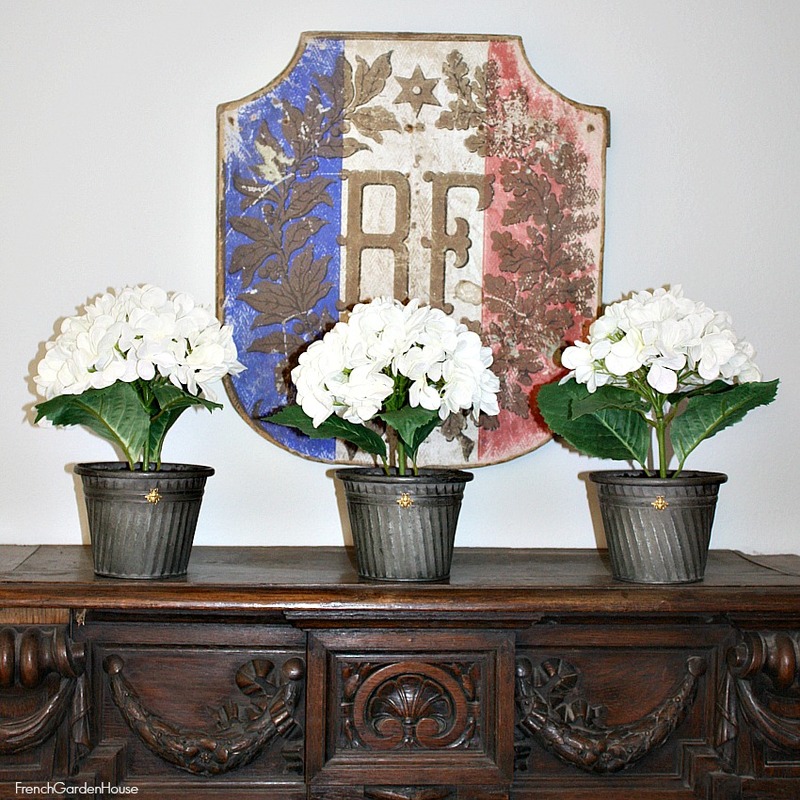 Add this French Country accent to your French buffet, your coffee table, or dining room to bring the joy of the garden inside. 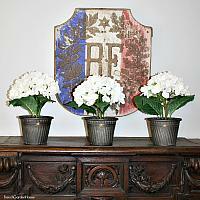 Choose one, two or three, they're perfect for adding summer to your home. Limited availability.